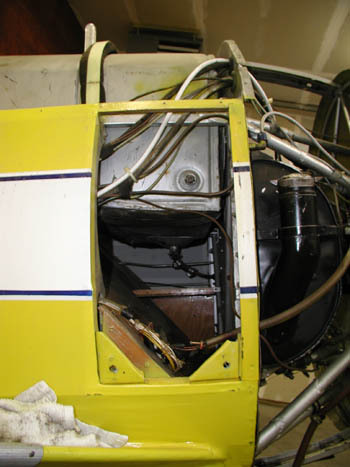 Hatch cover attached to cockpit coaming, removed with coaming. Framing will come off with firewall. Cargo compartment door and area before fabric removal, with annotated firewall connection reference.